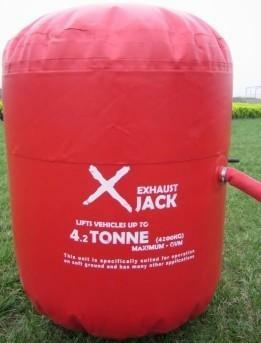 ﻿ Inflatable Air Jacks,Air Bag Jack,Air Jack,Exhaust Air Jack Manufacturer,Supplier,Factory - Cnjacks Enterprise Co., Ltd.
Each with three layers on top and bottom. There are protective edges around the exhaust jack. Contact area between exhaust jack and automobile chassis is far more than conventional contact area between exhaust jack and automobile chassis. Easy operation, simple, quick, and convenient. 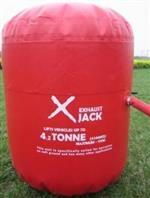 One-way valve is 2 meters far away from the exhaust jack, can be more effective to protect the operator. Comes with a complete repair kit.